An easy way to get your facial design ready for your Day of the Dead celebration without having to use makeup. 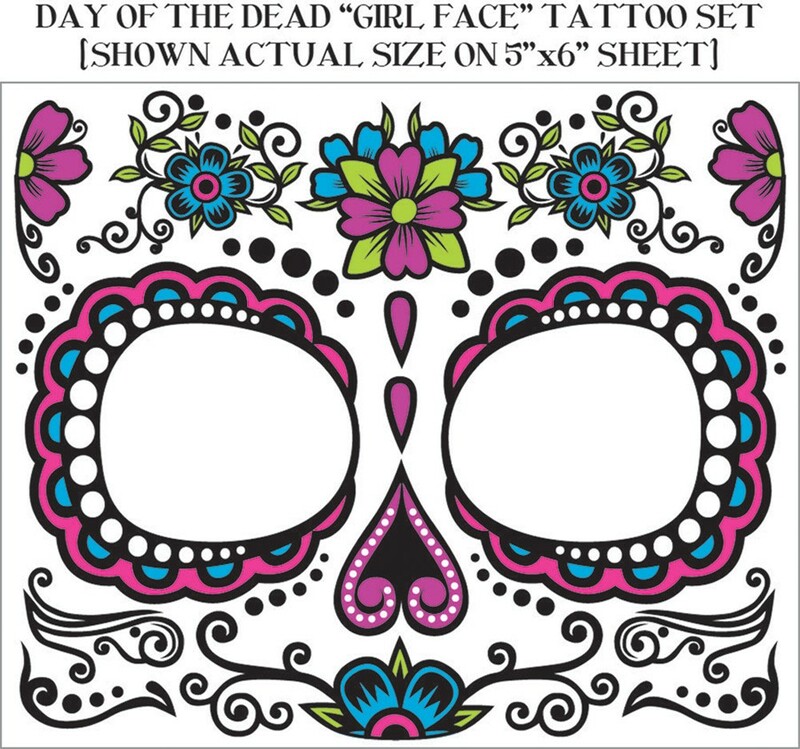 This tattoo set will turn your face into a fantastic sugar skull in a matter of minutes. One size fits most.